40 studies on the benefits of alkaline water that show there are benefits that you don’t get with plain water. Alkaline water has been shown to positively affect many different parts of your body at the same time. For example: When you drink alkaline water for weight loss, you’re also detoxing. While both of those things are happening, your rate of bone loss decreases, as does your blood pressure. All this happens as beneficial probiotics flourish in your gut. In fact, 88% of people with mild digestive upset in a Japanese clinical study found relief from just drinking alkaline water! Multiple studies have done at Montana State University on alkaline water hydration. Those studies have shown that one of the benefits of alkaline water is that it hydrates faster and more thoroughly than plain water. Researchers found that alkaline water re-hydrated athletes faster than and more thoroughly regular water. The Centers for Disease Control have found that about 3 out of 4 Americans suffer from chronic dehydration. Chronic dehydration can lead to many health problems such as constipation and migraine headaches. So chances are, getting hydrated with alkaline water will make a difference in your health that you can feel. Alkaline water has been shown to have the potential to help you detox from a hangover. It works by breaking down hydrogen peroxide into water and oxygen. Hydrogen peroxide is a metabolic byproduct of alcohol metabolism that kills liver cells. By breaking it down, alkaline water helps protect the liver. At the same time, it helps rehydrate the body. That helps with hangovers because dehydration is a major part of what causes the morning after headache that comes with a hangover. Contains magnesium hydroxide, the active ingredient in Milk of Magnesia. The painful burning of gastroesophageal reflux is triggered by an enzyme called pepsin. Alkaline water permanently neutralizes pepsin. That prevents the harmful burning sensation of GERD. Alkaline water is actually the only known safe method for controlling GERD. Long term use of the medications commonly taken for it called proton pump inhibitors, have been linked to dementia and alzheimer’s. Magnesium hydroxide works to counteract acidity to stop the painful burning of acid indigestion. Alkaline water acts to both counter some acidity, and dilutes acidity at the same time. 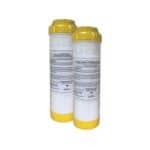 Alkaline water’s ability to help with acid indigestion is called the alkaline water Tum’s effect. Two Swedish studies showed that the pH of the water you drink can protect you from heavy metals, specifically mercury. They showed that Swedish women who drank water from wells that was alkaline absorbed calcium, magnesium, and other beneficial nutrients from the alkaline water they drank. Women who drank water from wells that had acidic water absorbed higher amounts of acidic elements like mercury and boron. The results were definitive. They lead the researchers to suggest that one of the important benefits of alkaline water is that it may protect against the harmful effects of mercury. Clinical research in the US showed that people who were new to alkaline water discharged 10 different heavy metals in their urine after starting to drink alkaline water. The reason it works is that raising the pH level of your urine increases renal clearance of toxic metals such as fluoride and mercury. Renal clearance refers to the rate that your kidneys remove wastes from your bloodstream. Oxidative stress which is caused by free radicals and Reactive Oxygen Species (ROS) is a major contributing factor to Alzheimer’s disease and dementia. Your brain cells are especially sensitive to oxidative damage. As you age, your body’s defenses against that oxidative damage decline. Antioxidant supplements can’t protect your brain from oxidation. They are blocked by the blood/brain barrier – a membrane that all blood entering the brain must pass through. Alkaline water isn’t blocked, so it passes right through the blood/brain barrier. That allows it to enter the brain where it can break down harmful oxidants before they have a chance to destroy brain cells. The strongest clinical proof of the benefits of alkaline water is for bone health. Multiple studies have shown that drinking alkaline water lowers enzyme markers in the blood that doctors use to measure bone loss. This bone-saving effect has been shown in both young and older people. Drinking alkaline water is quite literally one of the best things you can do for better bone health. There are side effects to the bisphosphonate bone drugs like Boniva, which are commonly prescribed for bone health. These drugs help for a short term, less than five years. But after five years, they can have serious side effects such as jaw necrosis: Rotting away of the jaw bone. Alkaline water is the only thing that is beneficial for bone health that has no side effects. Even milk has problems, milk acidifies your body when you drink it, which interferes with your ability to absorb calcium. This has lead some researchers to speculate that middle-aged people who drink milk for bone health may actually be doing more harm than good. What’s wrong with milk? Middle-aged and older people’s bodies’ ability to neutralize acidity declines with age. A younger person’s body buffers the acidity in milk so they can absorb the calcium in it. An older person’s may not be able to buffer that acidity well enough for that person to benefit from the calcium in milk. If your digestive tract is too acidic, your body doesn’t absorb calcium very well. The calcium you need for better bone health is easier for your body to absorb from water than it is from food. According to The World Health Organization, calcium is 30% easier for your body to absorb from water than it is from food. Because of this, the WHO recommends that you get 10 – 20% of your daily needs for calcium from the water you drink. 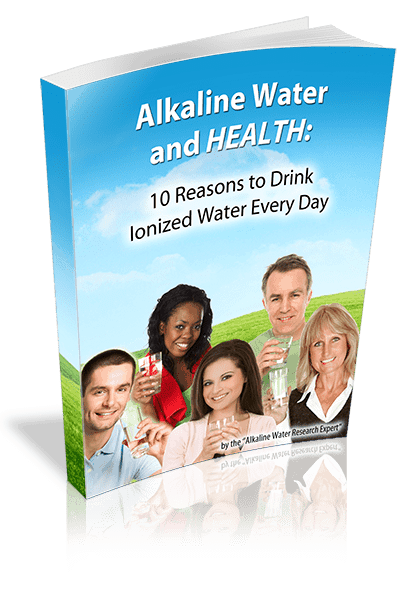 Alkaline water for a water ionizer is an excellent source of highly bioavailable calcium. The common factor in all these symptoms is low urine pH balance. The difference between having all of the symptoms of metabolic syndrome, and having none? It’s just a half of a pH! Drinking alkaline water has been shown to raise urine pH, especially when the body is in a state of acidosis. This really works! 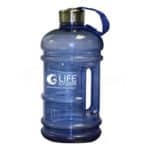 Drinking alkaline water mixed with an electrolyte drink mix such as Gatorade, will supercharge your workout. A study done on athletes who drink alkaline water mixed with Gatorade were able to work out significantly harder and longer. The study showed that It lowered the perceived effort that the athletes felt they needed to accomplish a workout. As a result, the athletes in the study simply had more energy and could go harder before hitting their max. It works because drinking alkaline water speeds absorption of electrolytes into your system. It’s higher pH balance also boosts the muscles ability to neutralize and flush out oxidative wastes. This means that you can go harder before your muscles start to feel that performance-robbing burn. Could alkaline water help you? Everybody’s body is different, but one thing is for sure: Alkaline water is good for your health. 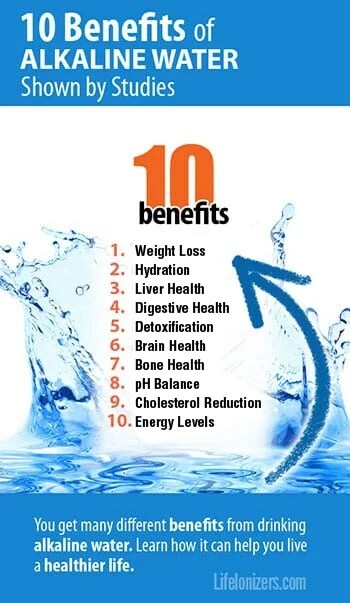 You get many different benefits of alkaline water just by drinking it. 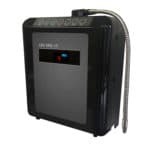 And here’s the good news: You can finance a water ionizer for less than you may be paying for bottled alkaline water right now! Imagine drinking the healthiest water on earth and saving money. 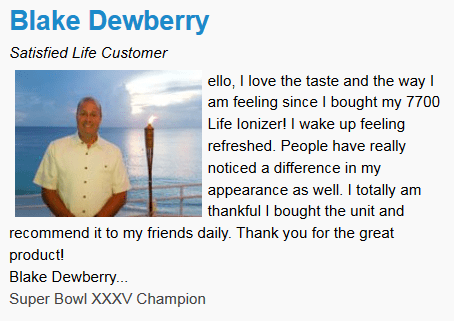 Be the next alkaline water success story. Call us at 877-959-7977 for a free, no obligation alkaline water health consultation. Yan, H, , and et al. “The neuroprotective effects of electrolyzed reduced water and its model water containing molecular hydrogen and Pt nanoparticles.” BMC Proceedings. Europeans Society for Animal Cell Technology, 22 Nov 2011. Web. 29 Oct 2013. <http://www.biomedcentral.com/1753-6561/5/S8/P69>. Tsai, Chia-Fang, Yu-Wen Hsu, and et al. “Hepatoprotective effect of electrolyzed reduced water against carbon tetrachloride-induced liver damage in mice.” Sciencedirect. Food and Chemical Toxicology, 01 Aug 2009. Web. 7 Nov 2013. <http://www.sciencedirect.com/science/article/pii/S0278691509002464>. Ong, Choon. “Minerals from drinking-water: Bioavailability for various world populations and health implications.” WHO | Water Sanitation Health. World Health Organization, 17 Aug 2004. Web. 4 Jul 2013. <http://www.who.int/water_sanitation_health/dwq/nutbioavailability/en/>. Gumashta, J, R Gumashta, and et al. “Hard water and heart: the story revisited.” IOSR Journal of Pharmacy and Biological Sciences. IOSR Journal of Pharmacy and Biological Sciences, n.d. Web. 5 Jul 2013. <http://iosrjournals.org/iosr-jpbs/papers/vol1-issue1/B0110720.pdf>.